1. What are these products? A: These products are new line of healthier beverages from Tahitian Noni International that combines the power of Noni with other health-promoting supplements. The beverage line features three varieties: Energy, Mobility and Vitality. 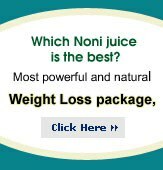 It is the first line of Noni-based beverages that comes ready-to-drink in a can and is developed for anyone who wants additional benefits along with Noni. The flavor of the product line is a blend of exotic fruit flavors. The line is lightly carbonated and does not contain any added sugars. A: this product was one of the most significant gods of French Polynesian lore. Many call him the father of the Polynesians. He was born on the sacred island of Raiatea and prided himself on doing things other men could not. He was a giant of a man; the biggest of his day. He garnered fame for his mighty canoe Pahi which is attributed for splitting the island of Huahine in two by a channel. He acquired more knowledge than anyone else on the islands. He formed rocks from sand to protect the islands and made fire by friction. His descendants became nobility. 3. What are the benefits of Energy, Thermo, Mobility, Vitality & Black Currant beverages? A: Each drink from these products beverage line offers a variety of benefits, for instance Energyoffers immediate energy and enhanced performance, and provides a healthier alternative than the crash and burn of sugary energy drinks and sodas. Vitalityis packed with vitamins and minerals offering powerful immune support. Finally,Mobility lubricates joints and helps support healthy cartilage. 5. How do I take these products for best results? A: You take Energy, Thermo, Mobility, Vitality & Black Currant beverages as needed throughout the day. these products work with your needs and you decide when you want/need to consume them. As you will experience immediate results just take a can of these products beverage when you’re in need! Some people feel much better by holding the product under their tongue for 30 seconds before swallowing. 6. How much these products should I take each day? A: That may vary depending on your goals. Some people take 3 can a day and get great results, others like a morning and mid afternoon can. It's all up to you to take these products upto 3 times a day; if you have a special need for energy, immune or joint support, clarity or focus. Based on the product experience, following is recommended. 7. When is the best time to take Energy, Thermo, Mobility, Vitality & Black Currant beverages? A: There is no best time, but there are times throughout your day to consider. Many students like to take the product before studying or if they have an exam. Athletes love the product before, or even during, a workout or a game. At work, these products can be a healthy boost when you require extra concentration. In general, whenever you want enhanced performance, a can of the product can give you an edge! As these products offer immediate energy and enhanced performance you may take them when you feel that you are in need for them, up to 3-4 times a day depending on which of the products beverage you are consuming. 8. How does Energy beverage compare to other energy drinks? 9. What results may I look forward to when I take these products? A: Great-tasting exotic tropical fruit flavor of these products may cause you to experience an exciting tingle on the tongue. That’s the signal that ENERGY is on the way. People who use these products daily tell us they have seen an increase of energy, enhanced mobility, more strength, feel stronger, experience more positive moods, while remaining alert, more focused and yet calm. 10. Does these products contain stimulants such as ephedra or caffeine? A: There is no ephedra stimulant in any of these products are naturally caffeinated. 11. What is the shelf life of these products? 12. Do I have to take these products an empty stomach? A: No, these products beverages can be consumed any time as needed throughout the day. 13. Does these products need to be taken with water or mixed with juice, a milkshake, etc.? A: No, it can be taken on its own. 14. Can anyone take these products? A: Pregnant or lactating women should consult their physician prior to using this product. Not intended for children. If you have a pre-existing medical condition, or are currently taking medication, we recommend you consult your health care professional. 15. Energy beverage seems to have the power to stop time; can it help us be everywhere at once??? Yes, we stand behind our products 100%. We know that you will love these products beverages and feel the benefits within days, sometimes within minutes! If you are not satisfied, 30-day Money Back Guarantee option always available to you!